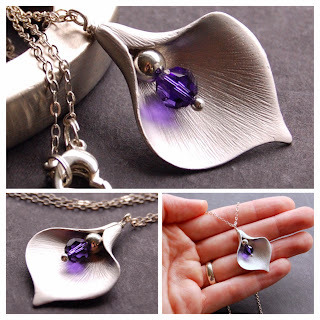 Silver Calla Lily Necklace. Cute little brushed silver calla lily charm accented by a sparkling faceted round deep purple Swarovski crystal, can be made into different color's crystal. USD$40 by GreenRibbonGems.